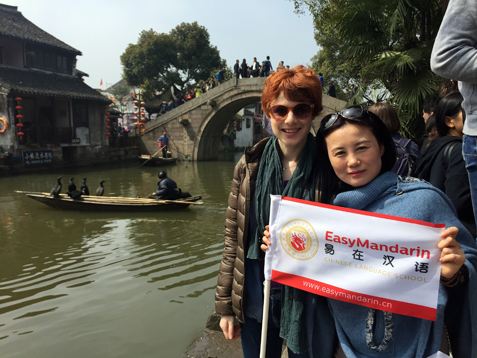 On the first warm day of 2015, EasyMandarin students and teachers filled up a bus and went to Xitang ancient Chinese water town in Northern Zhejiang province. Altogether fifty-five people joined us on a boat ride through the canals before enjoying a full day of excitement exploring the historic town’s temples, antique buildings, and taking in the gorgeous scenery. We’re not the only ones that think Xitang is beautiful — Xitang locations were featured in the Tom Cruise film “Mission: Impossible III”! Click here for more pictures from the trip.